Our providers are known for taking the time to listen and understand each patient. Our providers are willing to sit down and answer your questions to help you achieve the best possible health. Our philosophy of care centers on treating each patient with dignity and respect. Plus, we do our best to be available when you need us; that means same day sick appointments. Services include: preventative exam, sick visits, hospital follow up, ADD/ADHD, family planning, IUD placement, and diabetes care. Practicing at Family Care at Christian Hospital, Ms. Cody Basciano is a mindful nurse practitioner. She serves the locality of St. Louis and provides comprehensive health care to people of all ages, from newborns to geriatrics. Ms. Basciano earned her master's in nursing from the Frontier Nursing University. Her services include preventative health care screening tests, immunizations, care for many acute and chronic illnesses, and patient education. "My goal is to provide patients with the knowledge and tools that they need to prevent disease as well as to prevent complications from chronic illnesses that they already have, "Ms. Basciano says. Ms. Basciano is committed to helping her patients enjoy a healthier lifestyle. She works with each one to discuss ways they can make better choices for their health. In her spare time, she likes spending her time with her loving toddler son and her Yorkie. She also enjoys cooking, reading and riding bikes on the local trails. 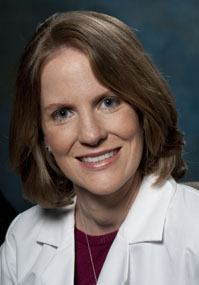 Her practice is part of BJC Medical Group of Missouri, a well-established, multi-specialty physician group. James Miller is a Certified Family Medical Nurse Practitioner. He can provide primary medical care including diagnosis, treatment, and preventative care. Mr. Miller's practice is a part of BJC Medical Group, a well-established, multi-specialty physician group. Dr. Napier's practice is part of BJC Medical Group of Missouri, a well-established, multi-specialty physician group. 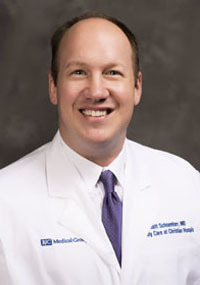 Dr. Schoenherr provides primary care for patients of all ages, including: preventative health, care for minor injuries and illnesses, chronic disease screening and management, joint injections, contraceptive procedures (IUD, Nexplanon), biopsies of concerning lesions, and sutures for simple lacerations. "The best way to treat a disease is by preventing it from happening, so I like to focus on preventative health. I also have a special interest in some of life's transitions, namely adolescents and end-of-life care," says Dr. Schoenherr. "Lastly, I believe LGBT patients are underserved and want my practice to be known for being open to all patients." Dr. Schoenherr enjoys outdoor activities like hiking and canoeing. 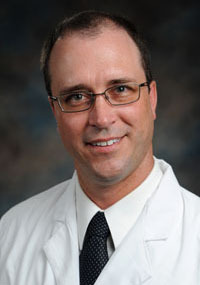 His practice is part of BJC Medical Group of Missouri, a well-established, multi-specialty physician group. 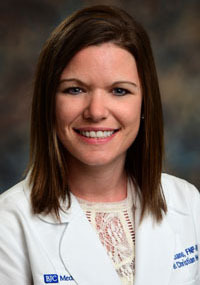 Kelsie Watson, DNP, APRN, FNP-C, chose the family medicine specialty after practicing in the acute care setting and caring for patients with chronic conditions. “I was inspired to pursue an advanced practice nursing degree to help my patients manage chronic conditions and prevent progression to advanced disease,” Kelsie says. “It’s important for me to get to know my patients and their families while providing them with the best care possible.” Kelsie is from Alton, Ill. and recently moved back to the St. Louis area from Minneapolis. Outside of work, she enjoys volunteering in the community and spending time with her husband and their cat, Ollie. In her free time, she enjoys hiking, yoga, spending time with family and friends, traveling, crafting, and cheering on the Cardinals and Blues. 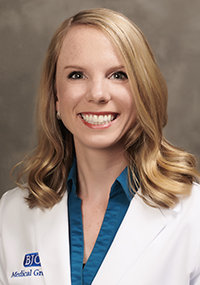 Kelsie’s practice is part of BJC Medical Group, a well-established, multi-specialty physician group.